Rob Walker (@rwalk03) is a staff writer at Into the Calderón and the guest on this edition of Colchonero Chat, in which he analyzes Atlético Madrid’s 1-1 draw with Barcelona. Rob and Jeremy Beren (@JBBeren) discuss Atlético’s drop off in performance after a great first half and how Ernesto Valverde bested Diego Simeone in the battle of the substitutes. The podders also debate whether Saúl is now Atleti’s most important player after a man of the match display on Saturday and why Simeone’s men ... See More are having problems winning headers. Then, Rob shows off his Azerbaijan “expertise” as the guys preview Qarabag-Atlético. Jeremy and Rob speculate on possible entries into Simeone’s XI and offer scoreline predictions on this must-win fixture — in addition to who you should root for as AS Roma visit Chelsea. 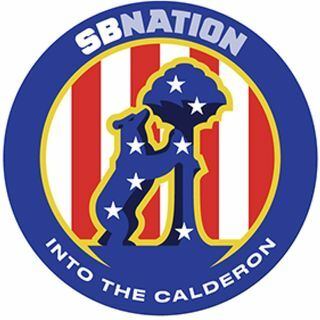 Subscribe and listen to Colchonero Chat on iTunes or your other favorite podcasting platform. Check out patreon.com/colchonerochat if you are interested in contributing to the show in exchange for exclusive content.